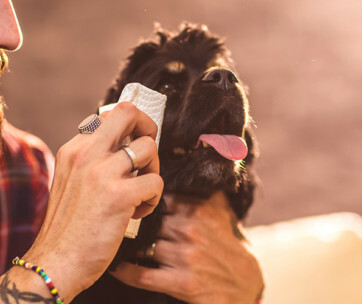 Whilst some dogs achieved this dreadlock look for aesthetic purposes, such as the poodle, more often than not, their locks served another purpose. Many dog breeds with natural dreadlocks are used for herding or guarding animals due to their ability to blend in with the shaggy woollen look of the sheep. For these working dogs, their coats served a purpose and had important functions. Whilst the dogs may look like they have dreadlocks, the term usually used for this style of coat is ‘cords’ which are effectively twisted hairs within the dogs coat. Aside from the poodle whose fur requires human involvement, most dogs achieve this dreadlock look through selective breeding over the years. Unfortunately, the down side of these quirky coats is that they are so long and ragged that they frequently pick up all sorts of mud, twigs and dust so require lots of love and care to ensure their coats are kept clean and healthy. 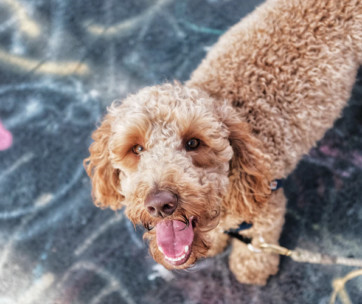 These five dog breeds are definitely an eye catching bunch. They are few and far between and often not regulars in countries other than their own, so it is not surprising that there is so much intrigue when it comes to these dogs and their ragged coats. The Komondor, a Hungarian treasure, has a coat of heavy white mop-like cords. Their pure white color is distinctive and they are also a very tall breed. The Komondor is a gentle, calm dog with a lifespan of around 12 years on average. When a Komondor is a puppy, its coat is soft and wavy, a stark contrast to what its coat will look like in later life. By the age of two, the coat of the puppy will have formed cords due to the outer coat becoming course and trapping the softer undercoat. The reason for its white corded coat goes back to their reason for breeding. Originally, Komondors were bred to protect livestock on farms and the coat helped the dog to blend in with the sheep. The name ‘Komondor’ translates to “dog of the Cumans”. The Cumans were a tribe who brought the dogs to Hungary in the 12th century. Komondors who are not active working dogs will be at risk of matting and since their coats attract all sorts of dust and dirt, it is important that they are well groomed. Their scruffy look may suggest that they don’t take much looking after but this is deceiving. 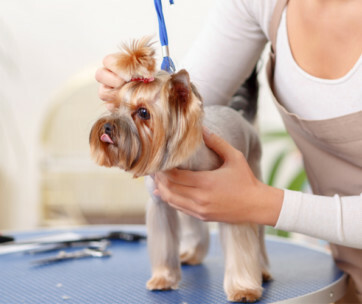 This breed requires an experienced dog owner who can bathe and groom them properly. This takes time and effort given that drying the cords incorrectly can lead to an unpleasant damp smell. Similar to the Komondor, the Puli is a Hungarian breed. A white Puli will often be confused with a Komondor but actually, they come in all colors. Smaller than the Komodor, Puli’s are faster and more agile. Just like the Komondor, the Puli is bred to work with flocks of sheep. As well as guarding, the Puli does a great job of herding and have been used in the industry for over 2000 years. The coat starts naturally cording earlier in this breed at around the nine month mark and as it grows it will stick out at right angles until it is long enough to form cords. In a similar way to the Komondor, the cords are formed due to the outer and inner coat become intertwined. If the two coats grow at different rates, it might be that cords do not form at all in the dog’s coat. If they do form, they may well fall off when they become to thick and heavy due to them being weaker than normal. Again, a lot of grooming is involved to care for the cords of the Puli. 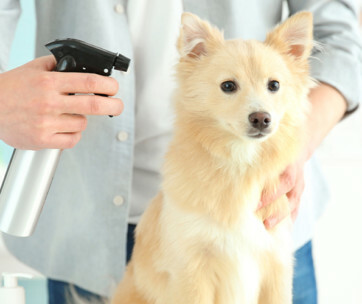 By trimming the coat, the level of maintenance is kept down and the risk of smells from incomplete or incorrect trying of the cords is reduced. It is for this reason that owners often clip the cords every now and again to keep them manageable. A further risk with the Puli is that too many hairs within the ears can cause yeast infections due to the hairs preventing air circulation. Therefore, ears should be checked regularly and plucking of hairs might be a necessary prevention strategy. Pulis and Komondors are frequently seen working together as a team due to their combined ability to heard and guard. The Komondors would keep watch during the night whilst the Puli took over and kept watch during the day. The Bergamasco is an Italian bread which dates back 2000 years. Similarly, the Bergamasco is also often used for herding due to their independent and intelligent nature. They are a muscular bread and are often seen in a grey color. They will sometimes be all grey and sometimes have a more graduated grey effect. The deadlock style of the Bergamasco’s coat is referred to as its ‘flocks’. The coat is made up of three different types of hair: the undercoat, the goat hair and the outer coat. The undercoat is smooth and oily, forming a moisture resistant barrier. The goat hair is coarse and thick, and the outer coat is woolly. 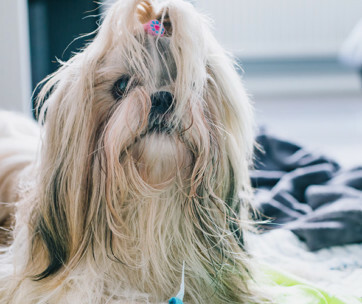 These three types of hair work together to form a coat aimed at protecting the dog from the freezing temperatures of the alps and prevent sun burn in the summer. The flocks also fall over their eyes to act as a visor both in the sun and snow. By the age of five, the Bergamasco’s coat will be fully dreadlocked, often reaching the ground in older dogs. With an average lifespan of 15 years, the coats on a Bergamasco can become almost unmanageable. Whilst the coat provides many benefits for the dog such as regularizing the body temperature during the summer and winter and acting as a form of armour for protection, the coat can be very high maintenance. Another dog used as a herding dog with sheep and cattle is the Spanish Water Dog. Unlike the Komondor and the Puli, the Spanish Water Dog only has one single coat and their thick, woolly hair can easily form into cords with the help of its owner. The coat is naturally rustic looking and thick but to achieve the corded effect, an owner must shave the coat and allow it to grow back again. As it is growing back, the cords need to be shaped along the way. As the name suggests, this breed are a strong swimming so are often used to help fishermen too. The twists that form in their coat become water resistant and act as insulation when they are working in the water. A less rustic and more elegant breed, the poodle has long hair which can form into locks if the hairs are coarse enough, however this will not happy naturally. Whilst the poodle can form cords in its coat, this will require hard work from its owner. Lots of time and effort will be required needed to regularly separate the growing coat and with shampoo being a no-go, the coat will need to be soaked and then the cords individually squeezed dry. The poodle is bred in three different sizes: miniature, toy and standard and they can come in a variety of colors including black, brown, white and cream. In the Victorian era it was common to see poodles with a corded coat. In fact, one of earliest dog show champion poodles in 1890 was a dreadlocked dog called Achilles. However, given the time and effort required to achieve this look, it is not commonly seen now. Whilst the grooming of poodles is still a popular past time, methods tend to involve puffed tails instead of dreadlocks.A less rustic and more elegant breed, the poodle has long hair which can form into locks if the hairs are coarse enough, however this will not happy naturally. Whilst the poodle can form cords in its coat, this will require hard work from its owner. 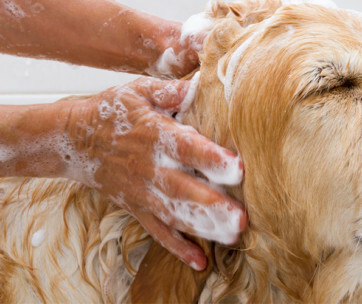 Lots of time and effort will be required needed to regularly separate the growing coat and with shampoo being a no-go, the coat will need to be soaked and then the cords individually squeezed dry. The poodle is bred in three different sizes: miniature, toy and standard and they can come in a variety of colors including black, brown, white and cream. In the Victorian era it was common to see poodles with a corded coat. In fact, one of earliest dog show champion poodles in 1890 was a dreadlocked dog called Achilles. However, given the time and effort required to achieve this look, it is not commonly seen now. Whilst the grooming of poodles is still a popular past time, methods tend to involve puffed tails instead of dreadlocks.